Everything works with electricity nowadays – homes, commercial and industrial facilities all depend on their electrical wiring systems, generating huge demand for good electricians, so here are a few tips to help you if you are currently researching how to become an electrician. To be able to start education to become an electrician, you first of all need a high school diploma or an equivalent of a high school diploma. If you are in high school and you already know that you want to become one of the best Denver CO electricians, try to focus on subjects that can help you later, such as mathematics, physics, mechanical drawing. The next phase in becoming an electrician is to start pre-apprenticeship training. These training programs are offered by trade schools and career colleges and they teach students about the basics of electrical work, such as safety-related aspects and codes, how to read wiring diagrams, electrical theory and will also offer some practical educations. To be allowed to enroll, candidates might be required to pass an entry test that checks their knowledge of algebra and physics, but not all schools have this requirement. 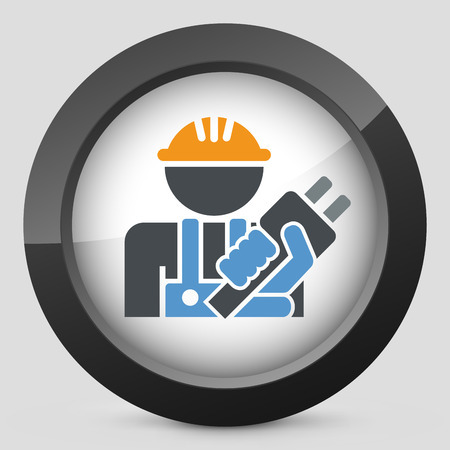 Apprenticeship programs are paid jobs offered by local companies to aspiring electricians. In some states, those who want to apply for an apprenticeship position are required to register beforehand, while other states don’t have such requirements. The position does not require the apprentice to be able to perform electrical repairs and installation by himself upfront – approved candidates usually go through a short evaluation period by the end of which the employer decides whether the candidate has the interest and the potential of becoming a valuable asset to the company later, followed by the actual apprenticeship phase that lasts 3-5 years and offers the employee practical and theoretical training as well. Electrician apprentices work with a master electrician during the day, performing smaller tasks under the guidance of the master and they will participate in in-classroom teaching in the evenings where they will learn more about the theoretical aspects of an electrician’s work. The training process ends in an exam to test the knowledge accumulated by the apprentice during the training. Those who pass the exam receive a license to practice as a journeyman electrician, that is, a professional who can perform electrical installation, repair and maintenance work based on provided diagrams, but not to create wiring diagrams and to design systems by themselves. Journeyman electricians who want to continue their training to learn how to design complex electrical systems as well can continue their training to become master electricians. In most states, electrician licenses are issued if the candidate has accumulated a certain number of hours spent working with a supervisor and has passed the licensing exam. However, not all states require electricians to be licensed to be able to work independently or to find employment with construction companies, so always make sure you know exactly about what local regulations say about the matter. If you have already completed secondary education, start your how to become an electrician research by looking for a local school where you can start your pre-apprenticeship training – the rest should come naturally.